Right now my productions is on hold. 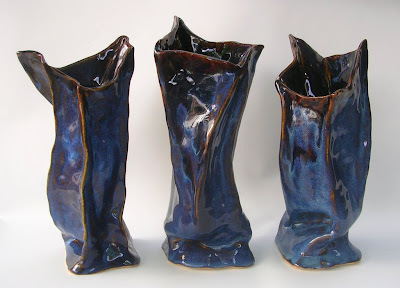 In the next few months, I'll be back building and experimanting with cool new glazes and shapes. 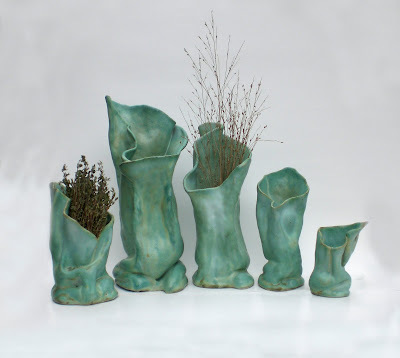 This series of vases was inspired by my love of nature and fascination with organic forms – trees in particular. I aimed to convey the energy and movement found in living forms. 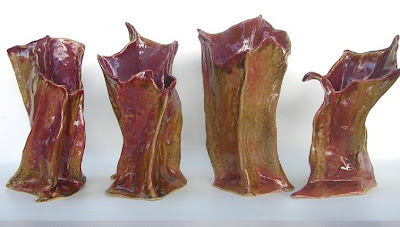 Utilizing the yielding nature of clay, I was able to create many natural folds, allowing each new curve to dictate my next step ,until each vase felt harmonious. 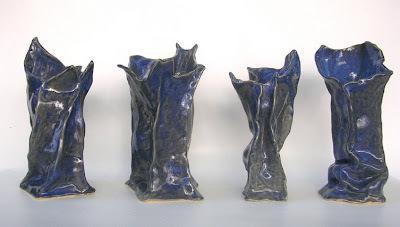 All were carefully hand sculpted from a rolled out slab of earthenware clay. 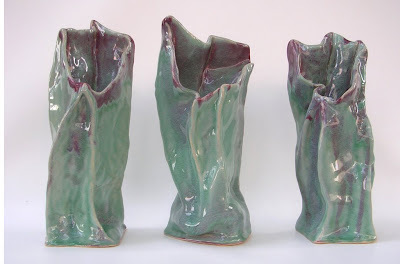 Once dry, they were high fired and glazed in various combination of colored glazes.